The Society of Women Environmental Professionals (SWEP) - Three Rivers Chapter is pleased to host “A Conversation with Caren Glotfelty, Executive Director of the Allegheny County Parks Foundation” on Tuesday June 26th. Caren is well known as one of the state’s top environmental advocates. A native of Northern California, Caren has spent her career in Pennsylvania and the surrounding region focusing on water quality, land use, and planning issues. With her expertise and reputation, she earned the appointment as the first female Deputy Secretary for Water Management in the PA Department of Environmental Resources, where she spent 4 years managing state policy and regulatory programs for water quality, sewage treatment, stormwater management, and stream protection. 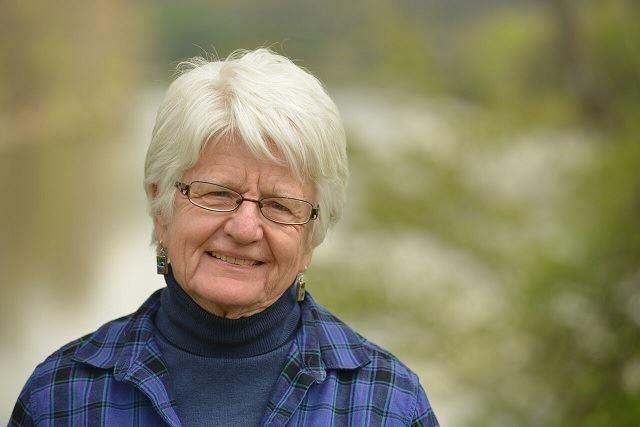 She has been honored many times including the PA Environmental Council Lifetime Achievement Award and the PA Parks and Forests Foundation Cliff Jones Legacy Award. Following 13 years as Senior Program Director for the Heinz Endowments Environment Program and 5 years as Maurice K. Goddard Chair in Forestry & Environmental Resources Conservation at Penn State University, Caren now heads the Allegheny County Parks Foundation (ACPF). In her role as Executive Director, she helps to steward the county’s 12,000 acres of parks where she can continue her commitment to protecting the environment. The ACPF, a non-profit established in 2007, works with Allegheny County to support the county’s nine parks. The ACPF supports the transformation of these nine County parks by providing resources, improving assets, and coordinating public and private stakeholders to advance strategies to make the parks signature assets in Southwestern Pennsylvania. Some of the notable projects include major trail improvements in North Park, Settlers Cabin, and South Park, ecological assessments in Boyce Park and South Park, and the implementation of the Chimney Swift Habitat Towers program. Join us on June 26 as we learn more about Caren’s dreams for our County parks and her efforts to advance environmental sustainability. You will leave inspired by her passion and motivated by her journey to realize the art of possibilities for environmental professionals. Registration opens for members on May 14 and May 21 for non-members. Seating is limited so register early. What we learned: It has been a long winter. If you think it has been a long and unending winter, you are right. At least according to resident expert on the region’s winter-weary roads, Cheryl Moon-Sirianni, District Executive, PennDOT District 11. She confirmed what we all know to be true – we had the wettest February on record, and it snowed on every single holiday since December, draining maintenance budgets and our winter spirits. 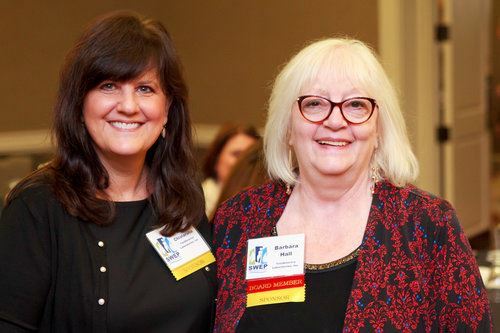 Yet, Cheryl’s grace and sense of humor inspired and uplifted members and guests of the Society of Women Environmental Professionals – Three Rivers Chapter at as we continued our “Conversation With…” series. Speaking to a full house on a cold, snowy day in April, Cheryl brought to life the immense responsibility that rests upon PennDOT employees and gave us a better understanding of the importance of our transportation network to our regions quality of life and economy. PennDOT District 11 includes over 2500 miles of state highway, 1800 bridges, and four tunnels in Allegheny, Beaver, and Lawrence counties. With almost 2000 square miles and over 1.5 million people living in the District, it is also home to several major population centers, such as the City of Pittsburgh, that attract hundreds of thousands of commuters every day. The Three Rivers story is one of bridges: Cheryl discussed the strides the state has made to replace state-owned bridges (District 11 reduced the number of deficient bridges from 600 in 2006 to 214 in 2017). While this reduction is significant, it does not tell the whole story and much remains to be done. The Transportation Bill, Act 89, provided additional revenue, but the presence of large river crossings in District 11 places increased stresses on its budget. For instance, Highland Park Bridge and the Tarentum Bridge were last rehabilitated in the 1980’s but there remain many more critical structures such as the McKees Rocks Bridge, which is over a mile long and will have much greater rehabilitation costs. Failure to maintain this important traffic conduit would be a devastating blow to the local and regional economy. Yes – there are a lot of potholes. This winter season has taken its toll on our roads, and this could be the worst season for winter maintenance. PennDOT personnel are working overtime because of the amount and timing of snowfall over the last several months. As PennDOT maintenance crews have repaired roads with cold-patch as an interim fix until asphalt season begins, the weather has repeatedly responded with even more rain, counteracting repair efforts. Rain, rain, and more rain coupled with freeze/thaw cycles have added to pothole misery. Relationships are important. As Cheryl reflected on her career of public service, she shared that the most enjoyable, and perhaps important, part of the job are the relationships and partnerships that she has nurtured. The resulting strong ties Cheryl has developed over the years were evident as she went through the room, greeting many by name and speaking to individual accomplishments from the stage. Cheryl’s advice for young women? Take chances early on in your career. Get involved with professional groups and network as much as possible. Take on challenges at work and ask for opportunities. 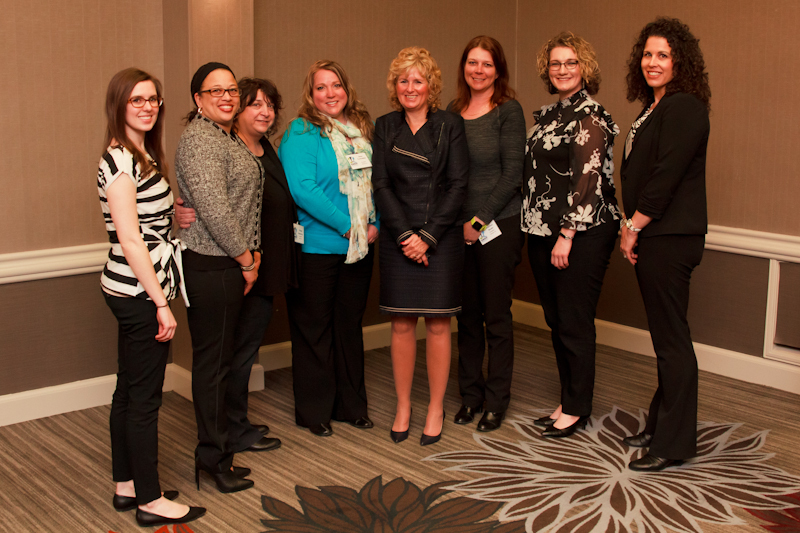 Thank you to Cheryl and to everyone who attended this event. 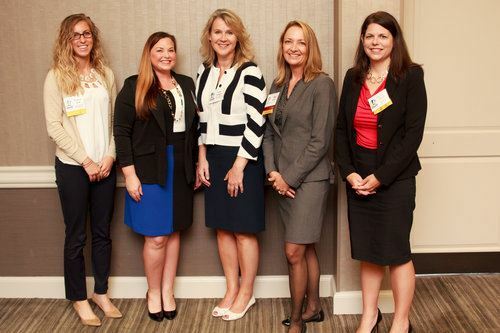 SWEP Three Rivers has thoroughly enjoyed hosting the “Conversation With” series and we are privileged to have the opportunity to connect professional women in the Pittsburgh region with successful women leaders. 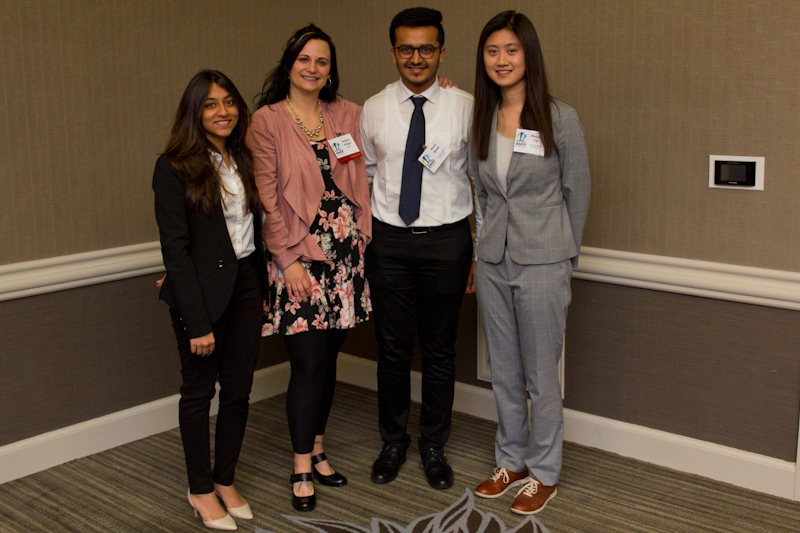 The generous support of our event sponsors – JMT (Platinum), GAI Consultants (Gold), Dawood Engineering (Bronze), Markosky Engineering Group (Bronze), and Williams (Student) – made this event a success and we truly appreciate their support. SWEP Three Rivers Chapter Announces First Public Service Event – Volunteers Requested! Please join us to celebrate Earth Day on Saturday, April 21, 2018 for a stream cleanup of Saw Mill Run – no special skills required! The Society of Women Professionals (SWEP) Three Rivers Chapter is pleased to partner with Saw Mill Run Watershed Association for a stream clean up in celebration of Earth Day - Saturday April 21 at 9:00 am in Castle Shannon Borough. Overall, the Saw Mill Run Watershed is approximately 19 square miles, including 12 separate municipalities and 14 City of Pittsburgh neighborhoods. The watershed is identified by its’ busy Route 51 Saw Mill Run Blvd highway corridor, the valley’s sleep slopes, and high density of impervious areas from decades of urban development. These qualities also cause frequent flooding, trash accumulation, and have a negative impact on the water quality of the stream. While most of the impacts are man-made, we can also be a part of the solution. Have you ever noticed the litter that is piling up in your local Rivers or streams? It takes away from the beauty and safety of our waterways. Further, rivers and streams provide 65% of our nation’s drinking water. Well you can do something about it by joining us for a cleanup effort with Saw Mill Run Watershed. You, your friends and others in our community can help make the stream safer, healthier and cleaner. 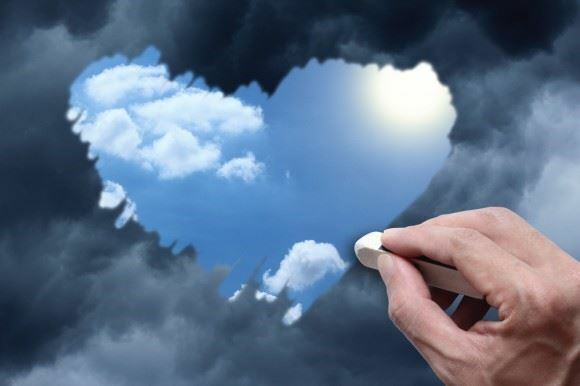 Please help is help our environment – rain or shine – and register today! Families are welcome, but minors must be accompanied by a responsible adult. The Society of Women Environmental Professionals (SWEP) - Three Rivers Chapter is pleased to host "A Conversation with Cheryl Moon-Sirianni" on Wednesday, April 4th. 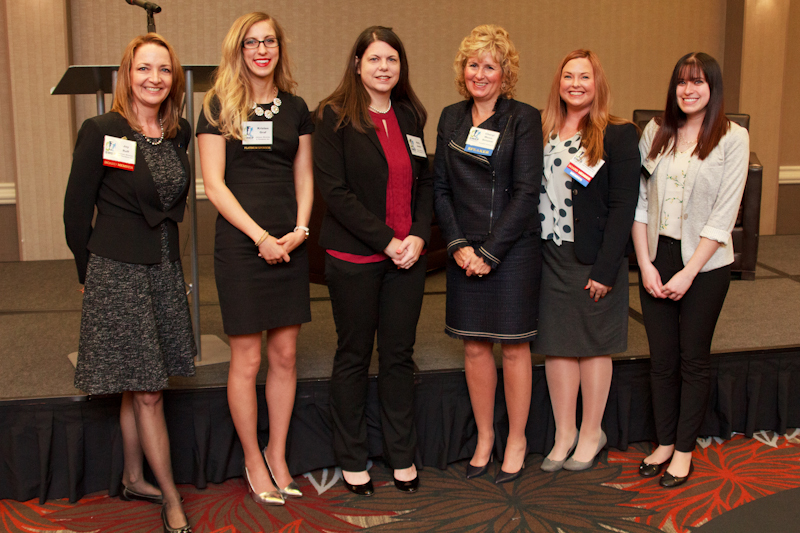 For women engineers in the Pittsburgh region, Cheryl is well-known for achieving professional success while serving as a role model for maintaining a work-life balance and promoting workforce diversity. Cheryl grew up in Freeport, studied civil engineering at Penn State, and began her career as a civil engineer trainee at PennDOT. Her talent and work ethic have helped Cheryl rise among the ranks of a male-dominated transportation industry. She was recognized for her professional accomplishments last November when PennDOT Secretary Leslie Richards appointed Cheryl as the District Executive for PennDOT District 11. As the District Executive, Cheryl is the first woman to oversee what could be one of the most challenging transportation networks in Pennsylvania. The District, which includes Allegheny, Beaver, and Lawrence counties along with over 200 different local governments, is synonymous with roads, bridges, and for those of us who drive in and around Pittsburgh, tunnels. By itself, Allegheny County has the largest roadway system in the Commonwealth and is home to employment centers that attract hundreds of thousands of commuters every day. All three counties have unique aspects that must be considered as PennDOT shares responsibility for the ownership and maintenance of this extensive transportation system with its local government partners. The role our state agencies play in maintaining our infrastructure is largely understated because many are unaware of what they do and the challenges they face. And, when you think access and mobility within our communities, to our jobs, you begin to realize just how fundamental a safe and efficient transportation system is to our economy, environment, and quality of life. Managing the demands of such a large infrastructure network coupled with our region’s steep slopes and soil composition presents other considerations. Rain, snow, or runoff can lead to emergencies such as landslides and flooding requiring rapid response, while also contributing to potholes and general road deterioration. Now responsible for 800 workers and over $305 million in construction projects, Cheryl’s institutional knowledge of PennDOT and expertise in engineering and planning will help her address these challenges proactively. Join SWEP Three Rivers as we hear about new PennDOT initiatives to strengthen communities and diversify the workforce and learn more about Cheryl’s leadership in delivering a safe and efficient transportation system. Please visit the event page to register today! Registration and networking begin at 8:00 a.m. We will serve breakfast at 8:30 a.m. and our Conversation with Cheryl begins at 8:45 a.m.
On a rare sunny day in January, members of SWEP Three Rivers Chapter met at the Southwest Regional office of the Pennsylvania Department of Environmental Protection (PA DEP) for our first Brown Bag Lunch of 2018. The Three Rivers SWEP Brown Bag Lunch will augment our event series and provide a casual gathering for our members to hear about important topics related to environmental issues. Our first Brown Bag Lunch featured the new PA DEP Southwest Regional Director, Ronald Schwartz, P.E., BCEE, and his staff who shared their perspective about hot topics and new policies affecting industry and environmental professionals in Pennsylvania. 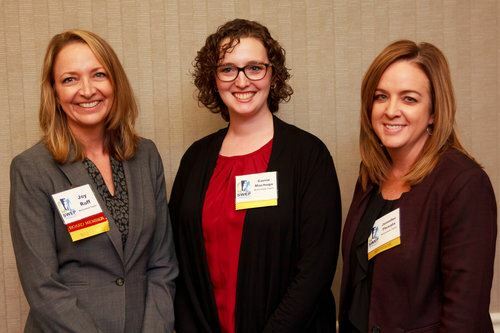 Three Rivers SWEP members filled the room to capacity and were treated to a vibrant and informative discussion, of which, a few of the key takeaways are summarized here. The Southwest Region has been particularly challenged by funding constraints coupled with a high attrition rate due to retirements and opportunities in industry. Despite an increased workload, the statewide staff contingent has dropped 43% in the last decade. Ron addressed this challenge and commended the hard work and commitment of his team as evidenced by a 60% reduction in the backlog of permits in the last six months of 2017 in the Southwest Region. 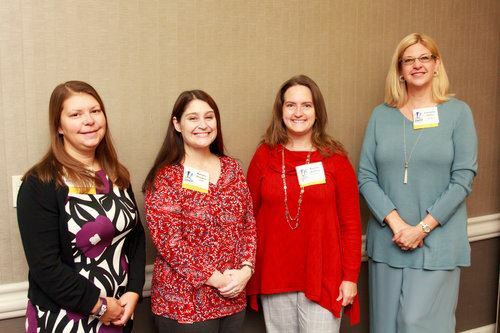 PA DEP’s Southwest Regional staff reiterated their commitment to the department’s mission to protect the environment while increasing efficiencies in the permitting and compliance processes. The Oil and Gas program has piloted online applications, demonstrating that this decreases the time required to review and make permit decisions. In addition, inspectors in the field have been provided iPads and other technologies enabling them to file inspection reports from the field. These tools are allowing PA DEP to catch up with industry. If you file oil and gas permits using e-Well, please know that the program will be replaced in 2018 with the goal of further improving efficiency. E-permitting in the Waterways and Wetlands Program is on the schedule, but there is no estimated date currently for when it will roll out. The File Room contains decades of paper files for all programs making reviews time consuming and sometimes requiring many visits to the Southwest office to research. Currently the file room is understaffed, and it can take 1-2 months to get an appointment to review files. PA DEP will embark on a process to digitize its files in 2018, ultimately providing electronic access to files. At the state level, PA DEP is creating a new Regional Coordination Office, which will coordinate permit reviews for projects spanning multiple regions, including pipelines and highways. The office is currently being staffed, so look for an announcement that they are open for business soon. Each speaker emphasized the value of pre-application meetings to ensure a timely decision and to provide applicants the information they need to submit a complete application. They strongly suggested that projects presented at pre-application meetings should be close to final design for DEP to provide an accurate assessment of the permits required for a given project. PAG-02 was to have expired December 2017 but was extended for an additional two years. DEP is developing a General Permit for small projects less than 5 acres. Oversight of the NPDES permits for construction activity has been consolidated into one bureau (Clean Water) in Harrisburg with other types of NPDES permits (this does not represent a substantive change for regional permitting). PA DEP is updating a Stormwater BMP manual, which should be complete in 2020. Chapter 105 – the environmental assessment was revised, and new protocols incorporated. Lauren Fraley, Community Relations Coordinator. *On January 26, Gov. Tom Wolf announced that he will include $2.5 million in the 2018-19 budget for additional staffing at PA DEP. ** The GP-5 and GP-5A proposed revisions, part of Gov. Wolf’s methane reduction strategy, will be finalized in Q1 of 2018. This page has the latest information on the process. Supporting common sense legislation that will bring the permit process in line with the industry it is engaged with, such as extending permit terms and allowing multi-well pad permitting. Would you like to see more? Visit the photo gallery from the event or check out our Twitter Moment. 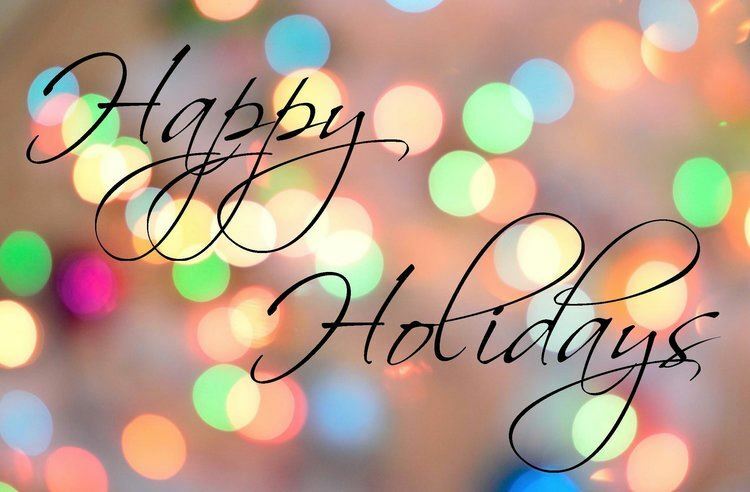 Happy Holidays from SWEP Three Rivers! As the holidays surge towards us, SWEP Three Rivers board members are considering how far we’ve come this past year. A little less than one year ago, we held our first meeting to outline an organization we felt was missing from the environmental field within the Three Rivers region. Specifically, an organization that supports women contributing to the environmental field from all professions, including engineers, biologists, geologists, attorneys and communicators; one that highlights women’s leadership and professional accomplishments; one that provides a forum for ideas; and ultimately, an organization that will provide a platform for thought leaders and an information resource. Clearly, we were not alone. At every step of the way, talented professional women joined SWEP and moved the effort forward. 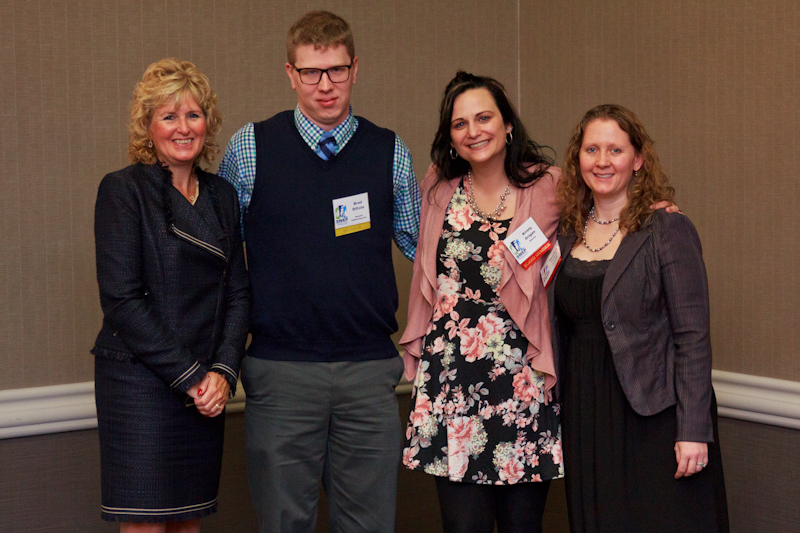 In September, we hosted SWEP Three Rivers' first event in our “Conversation with” series. We could not have made a better start! Arletta Scott Williams, Executive Director of ALCOSAN, was truly inspirational. 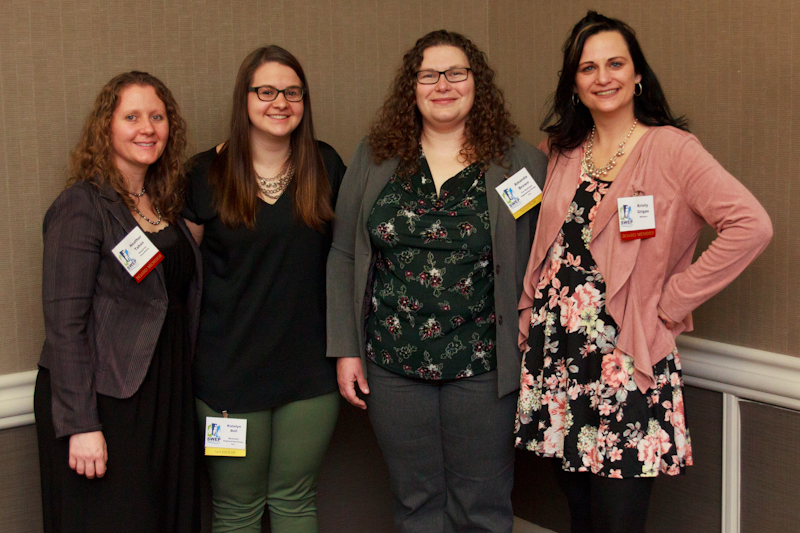 On December 5th, we followed with a joint happy hour between the Three Rivers, Philadelphia, Capital (central Pennsylvania), New Jersey, and West Virginia chapters at the National Brownfield Conference hosted in Pittsburgh. Thank you to all those who have expressed interest in volunteering to help with the leadership of the organization. We will host our first committee meetings in the new year and are excited to work with you. We continue to work towards becoming the organization imagined nearly a year ago. But for this week, we are reflecting on how far we’ve come and the friends we have made along the way. 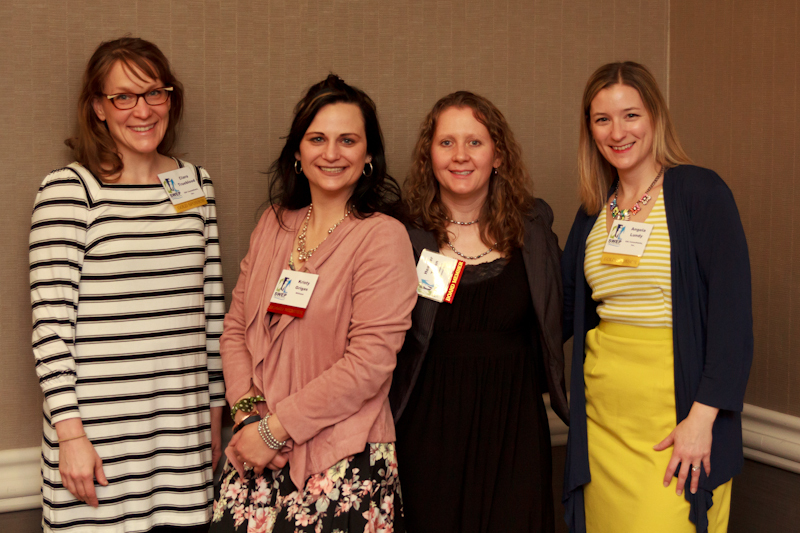 We are sincerely grateful for the women who have joined SWEP to create the Three Rivers chapter, and the corporate sponsors and corporate members who supported our efforts in 2017. Happy Holidays and wishing you all a wonderful 2018! 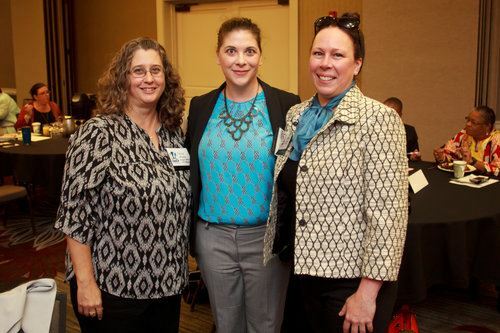 SWEP Event a Networking Success! 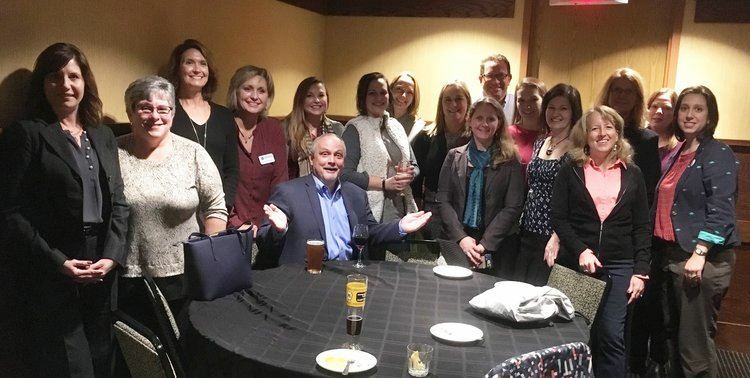 The co-hosted networking happy hour event held on Tuesday, December 5th at a local bar in downtown Pittsburgh was a great success! The SWEP Three Rivers Chapter co-hosted the event with the SWEP Greater Philadelphia Chapter, and both groups brought out SWEP members & friends for a fun evening of networking. 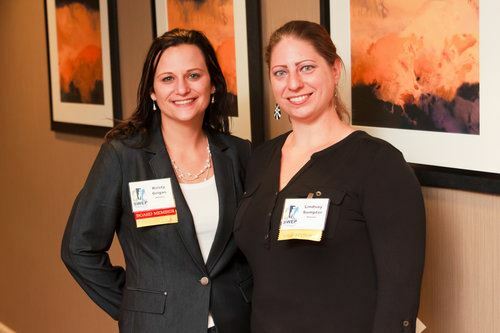 The event was scheduled during the 2017 National Brownfields Conference, held this year in Pittsburgh, PA, and provided the perfect opportunity for a successful, after-hours networking event. There were nearly 50 SWEP members and friends who attended, and SWEP members even posed for a photo! 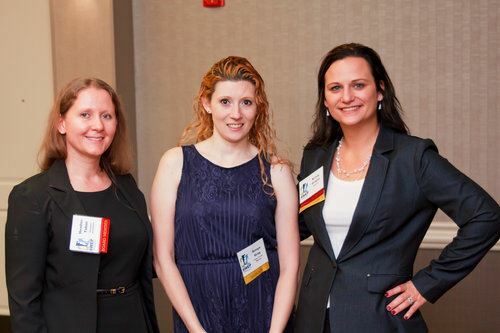 Thank you to everyone who attended and to SWEP Greater Philadelphia for coordinating! When we think of corporate sponsors, often we think of colorful logos. 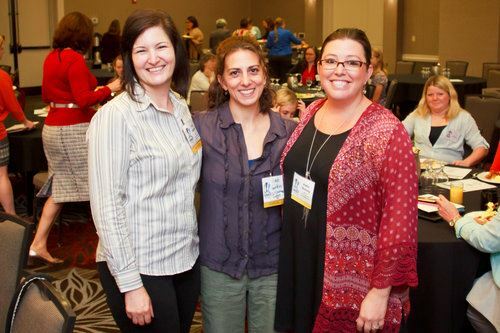 On September 19, at the inaugural event of the Three Rivers Chapter of the Society of Women Environmental Professionals (SWEP), we were reminded that our sponsors are people working together to build things that matter—a greener world, opportunity and community. The SWEP Three Rivers Chapter thanks our sponsors: Michael Baker, Williams Companies, Inc., AECOM, Johnson, Mirmiran & Thompson, Inc., Amec Foster Wheeler Environment & Infrastructure, Inc, Civil & Environmental Consultants, Inc., Herschell Environmental, McCormick Taylor, and Test America. 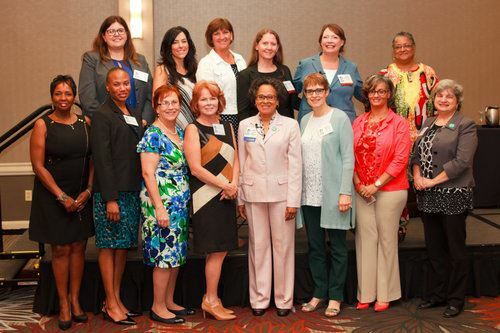 With their support, likeminded women in the environmental field held a vibrant and inspiring “Conversation with” Arletta Scott Williams, Executive Director of ALCOSAN. We are pleased to note that attendance at our inaugural event, the first in a series of conversations, was at capacity. Not only did we have the financial support of our sponsors, but also, and more importantly, they sent their amazing team members! We hope everyone will join us again for thought provoking and inspiring conversations with women in the Pittsburgh Region who are leaders exemplifying the SWEP mission. All photos are by Neil Richmond. All event photos may be viewed in our Gallery. We encourage you to download your favorite photos (right click on the photo; select "Save image as") and post to social media. Or you may share this article using the share button at the end of the post. Don't forget to tag #SWEP3Rivers! 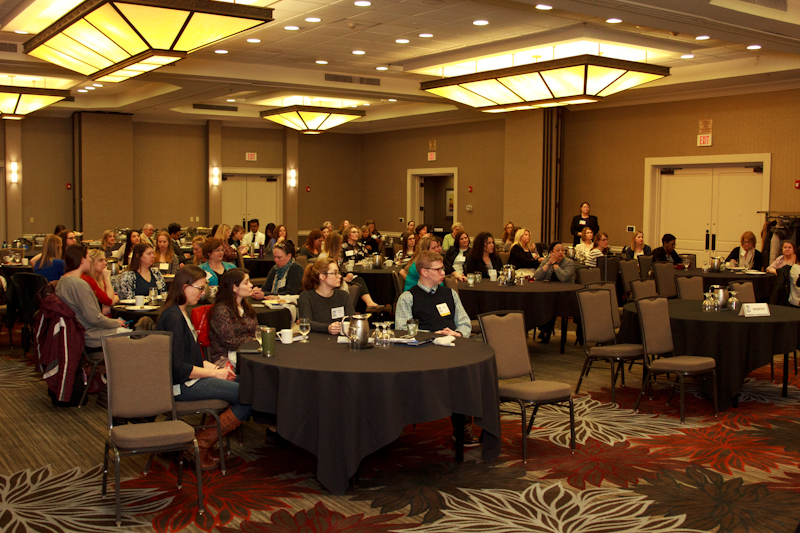 Thank you to everyone who has joined SWEP Three Rivers or registered for our September 19 event, "Environmental Compliance Under the Spotlight While Creating a Work Culture Where Women Lead." Registration ends at midnight on Wednesday, September 13, 2017. This breakfast event will feature a discussion with Arletta Scott Williams, Executive Director for ALCOSAN – possibly the most important environmental and public health organization in the Pittsburgh Region. Join SWEP to hear how ALCOSAN is meeting heightened environmental goals for water quality while creating a work culture where women lead. With over 45 years under the Clean Air Act (CAA) steady and significant air quality improvements have been made in the Three Rivers Region and across the United States in improving air quality. We have seen results of these emissions reductions in decreased adult and infant mortality due to hazardous air pollutants, fewer cases of respiratory disease, and reduced impacts to ecosystems, all while achieving improved economic growth (Source: USEPA). The CAA requires regional monitoring of key pollutants, including lead, carbon monoxide, sulfur dioxide, nitrogen dioxide, ground-level ozone, and particulate matter (coarse and fine). According to the Allegheny County Health Department (ACHD) 2016 Air Quality Annual Data Summary for Criteria Pollutants and Selected Other Pollutants, concentrations of these contaminants indicate an overall decreasing trend from 1996 through 2006. ACHD ozone monitors showed attainment of the 8-hour standard for the first time in 2016. Only one of the county-wide monitoring locations showed exceedance of the established annual standard for particulate matter. All other criteria pollutants were below the annual and short-term federal standards in 2016, showing positive results for the regional air quality improvements. Similar decreasing trends have been observed nationally. In a press release dated August 2, 2017 the USEPA highlights a 73% drop in combined emissions of six key pollutants between 1970 and 2016. USEPA updates its website with national, county, and city air trends data, including annual reports and interactive maps. These decreasing trends can be largely attributed to permits and standards for new emissions sources or major modifications of existing sources; technology-based standards for emission reductions; cap-and-trade provisions (e.g., sulfur dioxide program of the CAA amendments of 1990); and emissions standards for new motor vehicles (Sources: National Academies Press & USEPA). Part of the SWEP Three Rivers Chapter mission is to provide a forum for the sharing of information within the environmental field. We are not only happy to share this update regarding regional air quality improvements; we are hosting our inaugural event to discuss another regionally relevant environmental topic. On September 19th, Arletta Scott Williams, the director of ALCOSAN, will be speaking about ALCOSAN’s mission to protect local water resources and achieve Clean Water Act compliance. About the author: Heather Tahon, BCES has 13 years of experience in investigation and remediation of environmental media and environmental due diligence for a variety of public and private sector clients in the United States and Europe. 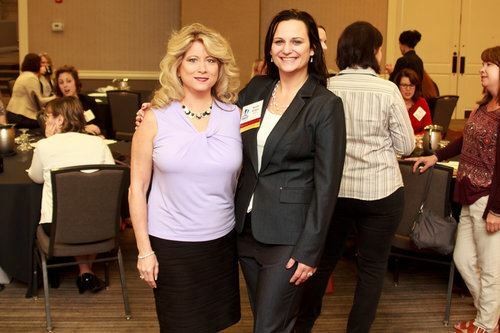 Heather is a founding member of SWEP Three Rivers Chapter and is Co-Chair of the organization. Copyright © 2018, Three Rivers Society of Women Environmental Professionals, a 501(c)(6) nonprofit corporation. All rights reserved.